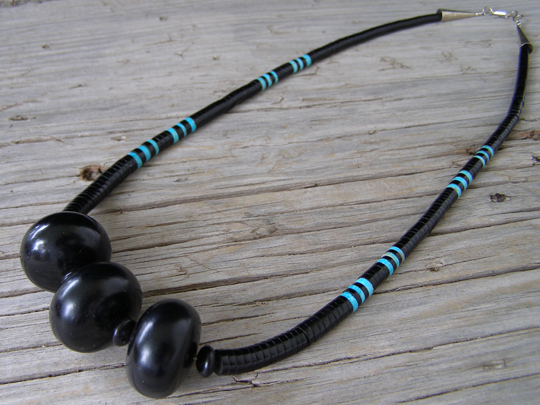 This banded stripe choker consists of graduated disk beads of jet and Kingman turquoise. Three large round beads of jet are like pendants in the center of the necklace. A simple classic design in the style of Santo Domingo Pueblo.